When choosing flooring for your home you share with kids, it’s more complicated than you might think. It’s not as simple as selecting the prettiest flooring you come across and, voila the job is done. You’ll have to weigh in all kinds of factors to ensure that you make the most practical choice for you and your family. 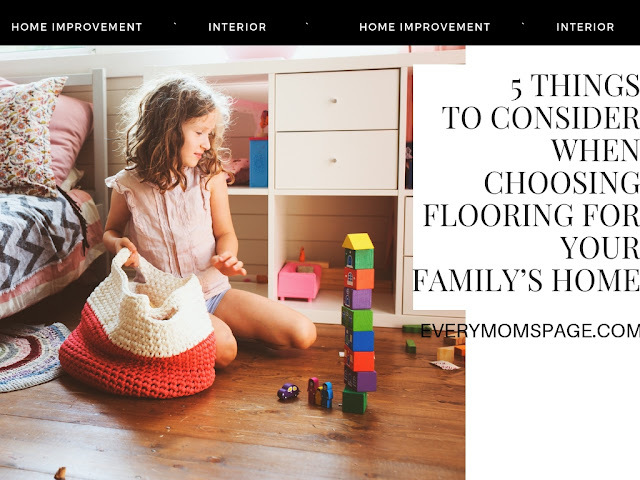 If you’re currently in the process of choosing flooring for your family home, take a look at some of the most useful tips to see you through. When shopping around for options, the first thing you’ll want to factor in how slippery the flooring is. When you have little kids, flooring which grips well to their feet is the best way to guard against injuries, particularly when you’re choosing flooring for stairs. Since not all of your home will have the same floor throughout, you’ll need to consider the room each flooring is going in. If you’re choosing a floor for a high traffic area where the kids are frequently playing, it will clearly affect your choice. However, if it’s an area where you receive guests and style is more of a concern than function, then your decision will likely sway in another direction. In the areas where your kids will be, like the kitchen and dining room, you'll want a floor that can take a beating. When it comes to kids, ultra-resistant is best. Choosing flooring which is easily scratched or stained will only drive you crazy. Why worry when you can simply choose a floor which is best suited for things falling and dripping? You can save the fancy flooring for the rest of your house. It’s easy to get carried away choosing flooring before you pull out a calculator. Think about how many square inches your home is and whether you can afford the models you’re looking at. Looking at the price per square foot is one thing, however, when you crunch the actual numbers, you may realize it’s time to start choosing flooring in a lower price bracket. Some people are great at DIY and may opt to install their flooring themselves. This cuts the cost down considerably, so it's no wonder why it may cross your mind as an option. However, installing flooring isn’t exactly a piece of cake, especially when you’ve got kids to look after. It can be a recipe for disaster trying to find time to properly install a floor without kids swarming around you. Hiring a professional will cut down the installation time, as well as save you a lot of headaches. If it’s in your budget, going the professional route is an option you may want to greatly consider.